Welcome to Elegance. 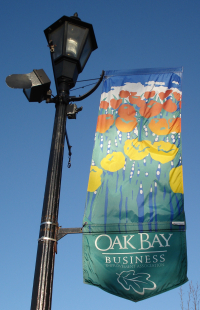 'Uplands Estates' is a well established, exclusive gated community in Oak Bay. This RARE ONE LEVEL townhome has been designer refurbished and unrivalled in condition! An idyllic floor plan. Wood floors in bedrooms and hall, tile in the entry, cork in kitchen and broadloom in living the formal dining areas. A gorgeous kitchen with corner windows, patio door, Kitchen Aid appliances, Quartz counters, under counter lighting, Italian tile back splash, pot lights. Large Master suite has access to a private patio as does the large den with built-ins and the living area. Generous window sizes, Phantom screens and Hunter Douglas Blinds throughout. Double garage with workbench and windows. Beauty, lush landscaped grounds overlooking Uplands Golf Course. Propane and electric BBQ's allowed.